As if the Sears 124 wasn’t “interesting” enough the quirky cousin comes along in fall of 1910! When you see a Sears 178 you will never forget it, trust me. 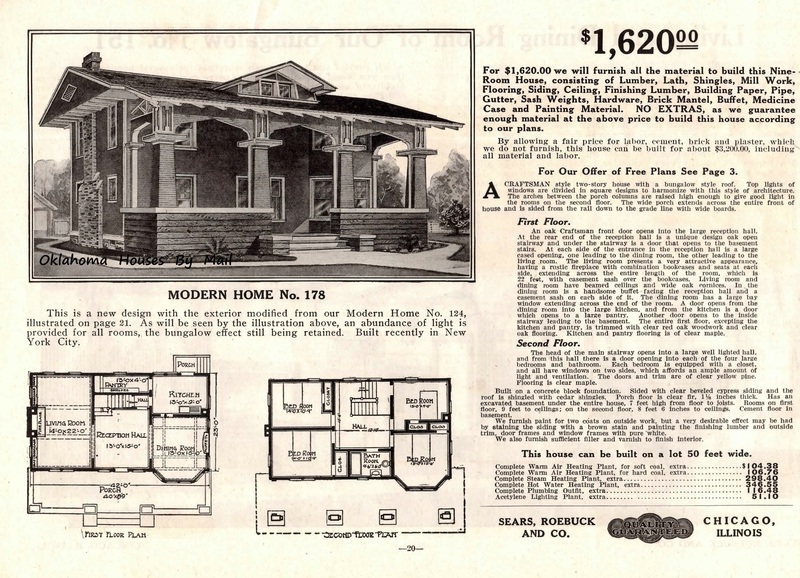 The Sears Modern Homes catalog in 1911 formally introduces the #178. They also mention that one was built in New York City. That is the ONLY mention of a #178 I have ever seen in a catalog. The Sears 178 was short lived. It was offered in late 1910 and was gone by late 1915. Five years, my guess is it wasn’t one of their biggest sellers and judging that there are no known testimonies or ‘built in this city’ (other than NYC) it must not have been very popular. Like a quirky odd cousin. The Sears 124 and the 178 floor plans are very similar. The room arrangements are identical. The stairway configuration is the biggest difference. The 124 has good morning stairs that service the kitchen and the 178 has a pantry instead of the good morning stairs to the kitchen. The upstairs central hallway has different measurements because the bathroom is arranged differently. And the bay runs both stories. Other than that the interiors are the same. 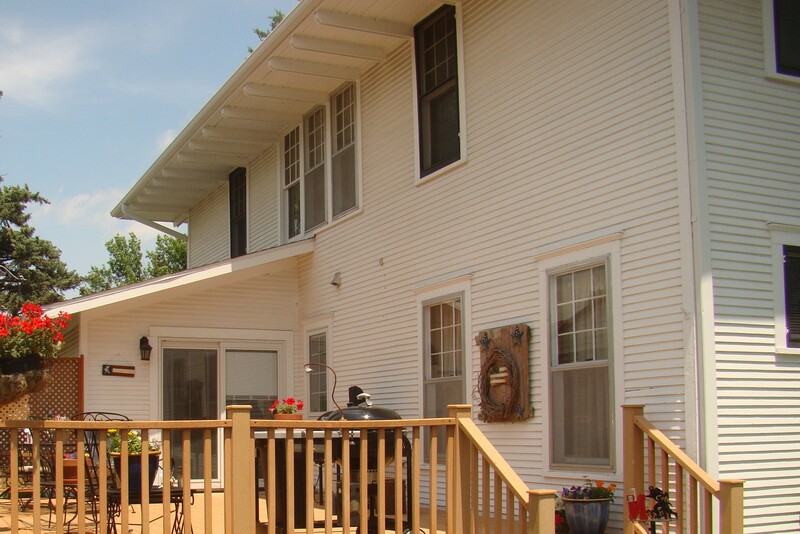 Now, the exterior is completely different! 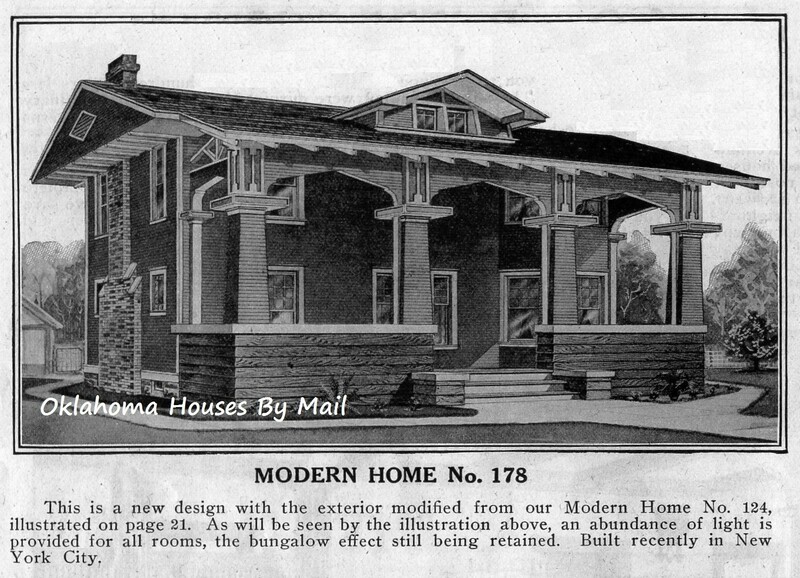 Sears Modern Homes fall 1913, #178. You can see that the stairway has changed and in the place of the good morning stairs they placed a pantry. And, the bathroom has a different lay-out. I’ve only seen one Sears 178 in the seven years I have been doing this. I found one a few years ago in Nebraska. 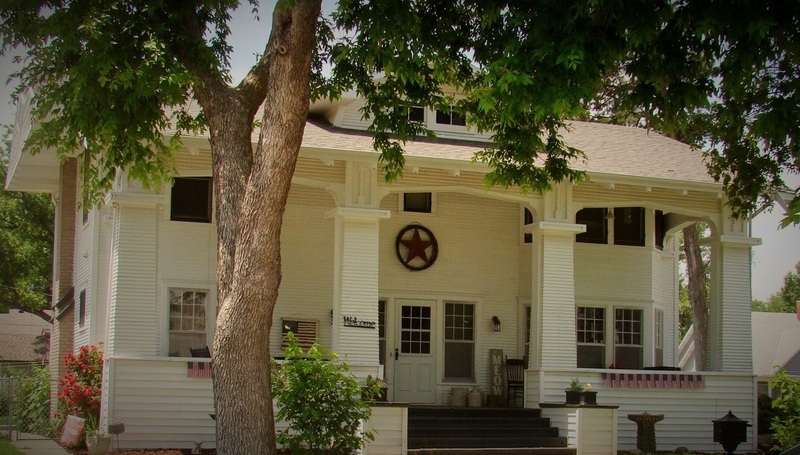 The catalog image does not do this house justice. The real deal is quirky, in a good way, but attractive. Like getting to know that quirky cousin who turns out to be interesting and plain fun! I like this house. Really like it. Isn’t this Sears #178 beautiful? I absolutely LOVE it! It’s one of the most interesting models that Sears offered, I think. 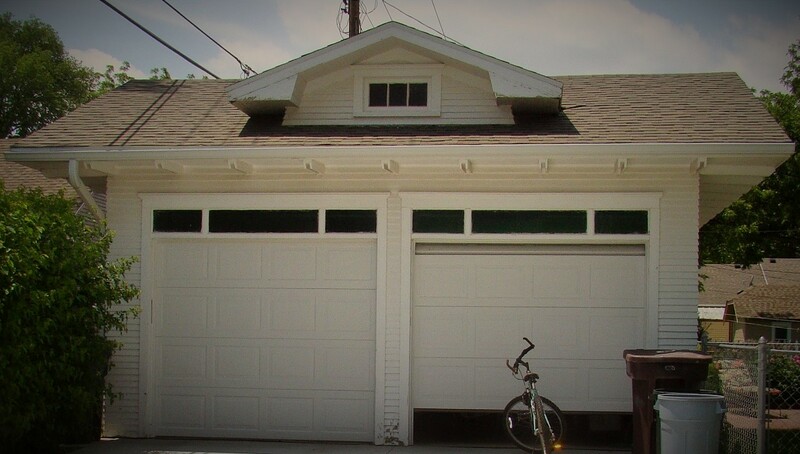 I like the garage with the matching dormer and rafter tails. Nice touch. 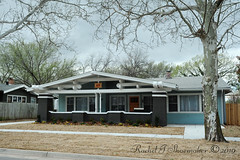 What are your thoughts on this quirky bungalow? Do you like it? Do you hate it? While it may have a face only a mother can love I find it interesting and love the personality! I would certainly choose it. Do you like quirky or funky bungalows? Check out THIS sweet thing in Webster Groves Missouri! 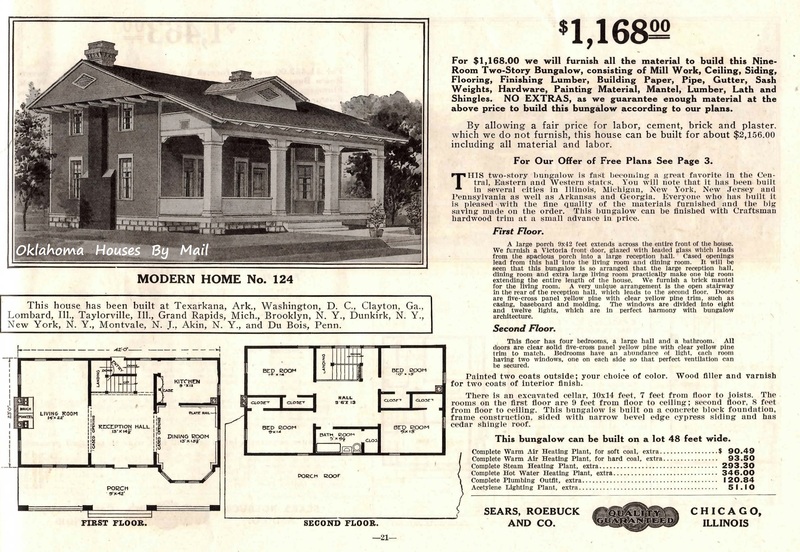 Do you want to learn more about Sears homes? CLICK HERE! 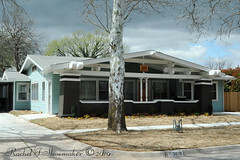 This entry was posted in Kit Homes Around the Country, Kit Homes of Oklahoma and tagged Aladdin Homes, Aladdin Houses, Aladdin Readi-Cut, American Bungalow, Bait and Catch, Bungalow, Bungalow Home, California Bungalow, California Bungalow Pergola, Catalog Home, Catalog House, Craftsman Bungalow, Craftsman Home, Farm House, Follow The Leader, Gordon Van Tine, Gordon Van Tine Farmhouse, Montgomery Ward, National Database of Sears Homes, National Database of Sears Homes 178, National Database or Sears Homes, Sears 124, Sears 124 Tillamook oregon, Sears 178, Sears Catalog, Sears Homes, Sears Homes Archives, Sears Homes National Database, Sears Homes National Database 124, Sears Homes National Database 178, Sears Homes Nebraska, Sears House, Sears House in Oregon, Sears House west of the Mississippi, Sears Kit Home, Sears Kit Homes, Sears Model 178, Sears Modern Home 178, Sears Modern Homes, Sears Roebuck Home, Sears Roebuck Homes, Standard Home Plans, Tillimook Oregon Sears 124. Bookmark the permalink. While I love the house I cannot stand seeing your found example in a all white palette. Why are people so afraid of color I wonder? All the neat detail that were put in place to draw the eye are washed out. Could you imagine this beauty with a proper period paint job? It would be a stunner. Definitely a earth tone to tone down the scale. I liked willow, olive drab and light drab. Something brighter for details like canary and something to contrast the details. So many cool colors to choose from. It would be cool to see someone “paint” the house in a program! I saw this strange model in a Sears Modern Homes reprint. It dawned on me when I saw the drawing that I had seen one of these before. I pass by a pretty untouched one in Tillamook OR, once a week. Thanks for the information and the photos! It might be a 124, if not then the pattern/design that was copied by Sears. I’ll see if I can find out more!